Wine country didn't need anymore bad news. Wine country has had a lot to worry about this year. Now a new pest is not going to make their lives any easier. 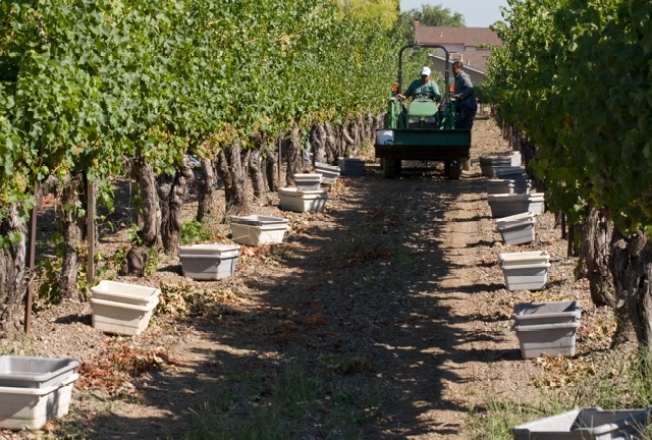 A moth that feeds on grapes was discovered in Napa County. European grapevine moth larvae were found in an Oakville-area vineyard. A state laboratory has confirmed the presence of the moth. Napa County Agriculture Commissioner Dave Whitmer says inspectors were checking traps Wednesday in a nine-square mile area to find out how widespread the problem may be. He says this is the first known finding of the invasive species in the United States. To make matters worse, a quarantine may be necessary to keep the moth from spreading. But officials say it's too early to say what course they will take. 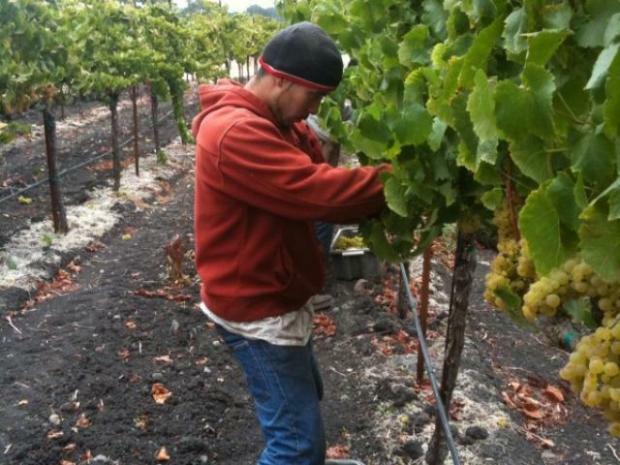 At Leveroni Ranch in Sonoma, Calif., farmworkers hurry to get what they can from the vines. The European grapevine moth is part of the same insect family as the light brown apple moth.